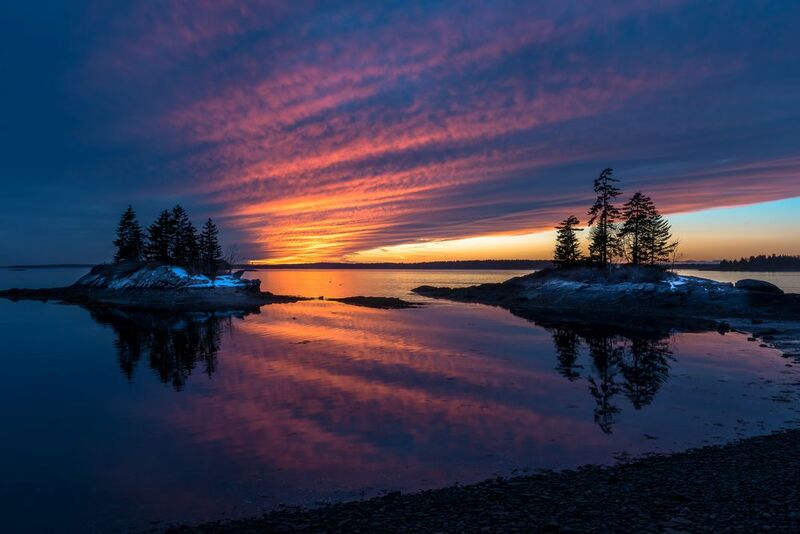 January sunset from lookout point in Harpswell Maine. I love the contrast in colors and the pure white snow on the small islands. Date Uploaded: Aug. 12, 2018, 4:41 p.m.